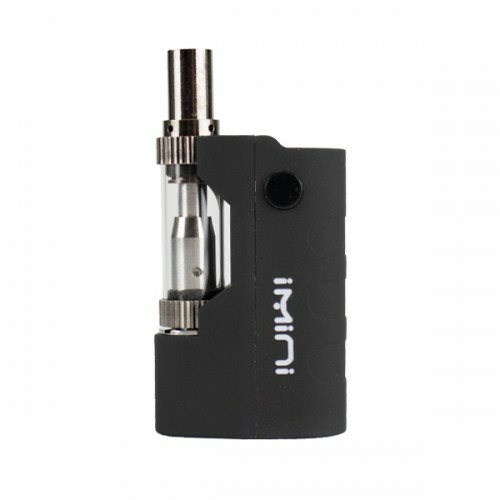 The iMini Vaporizer Kit is just around 2″ in length, the sleek, black iMini Vaporizer Kit is perhaps the most pocket friendly vape yet. 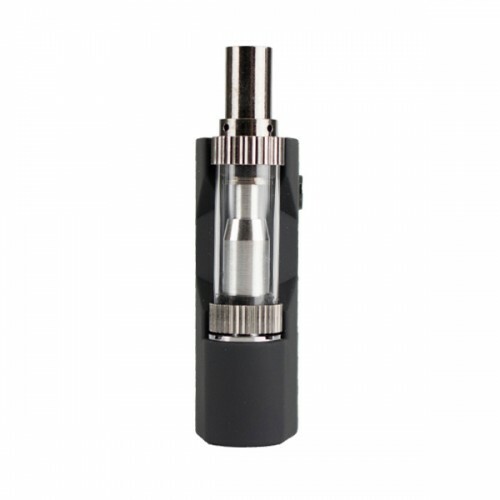 A 1.8mm tank-style cartridge utilizes a wickless coil designed for smooth, flavor-rich rips. The fill port is compatible with products of thick or thin consistency, offering more versatility than the average vaporizer. A powerful 500mah battery heats to 15W in just seconds. 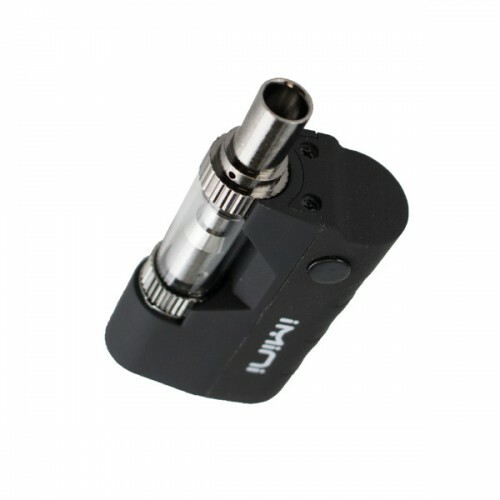 For preparing thicker products, the iMini Vaporizer offers a pre-heat setting. 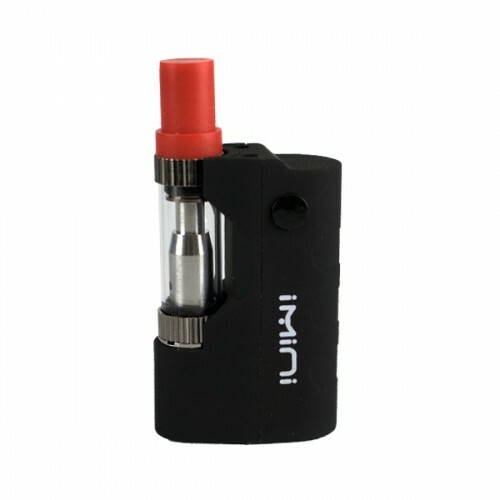 While most oil vaporizers feature closed tanks, the iMini has an open-view glass tank so you can see how much product you have left. The wickless atomizer is engineered for flavor-extraction, thoroughly heating product to make the most of every milligram. 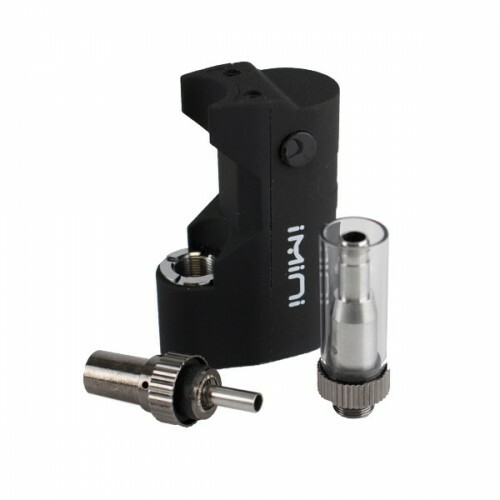 With universal 510-threading, the iMini Vaporizer is compatible with most 510-threaded atomizers at or under 10mm. 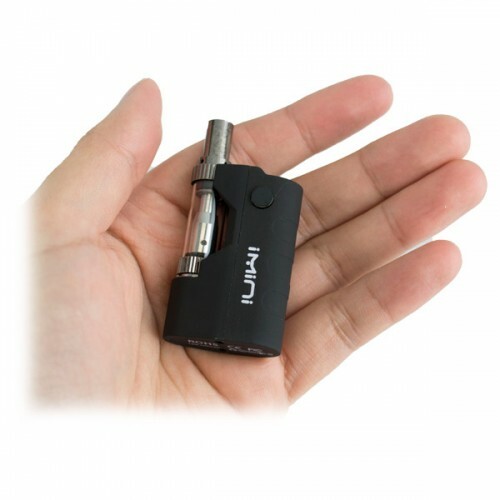 The iMini Vaporizer Kit hides completely in your palm. Light as a feather, you can carry it in your pocket and never notice it’s there. Despite the small size, the iMini offers advanced features. A 10-second auto-shutoff preserves product and battery power while preventing damage to the coil. A rapid 15W heat up lets you take quick rips on-the-fly. For thicker product, you can turn the unit on with 5 quick clicks, then press the button once to begin preheating. When the thick product has reached a thinner consistency, simply click once more to turn off preheating, then hold down the button to vape. 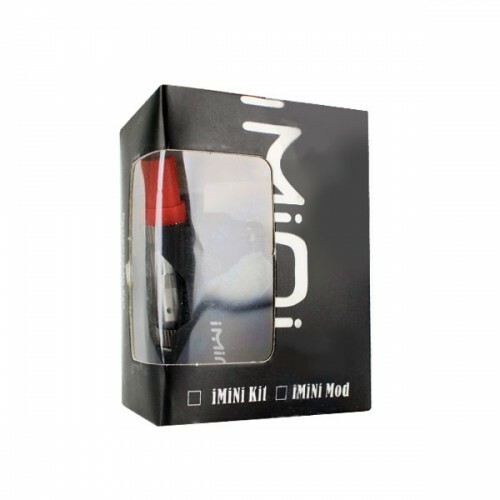 The iMini vaporizer Kit offers the ultimate pocket-friendly oil vaping experience. 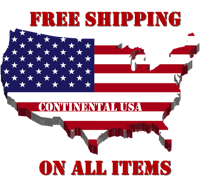 Delivering smooth rips with a super compact design that won’t blow your cover!